In the year since Monongahela Valley Hospital purchased the HealthPlex along Route 51 in Belle Vernon, carpenters, electricians, plumbers and other skilled tradesman have been working diligently inside the building to expand and construct new physician offices. While the interior renovations will not be visible until later this fall when The Orthopedic Group moves into a larger suite and surgeons Chito M. Crudo, M.D. ; Hiram Gonzalez, M.D. ; and Arshad Bachelani, M.D., move from their North Belle Vernon location to the facility, the community saw the first true evidence of MVH's ownership when a new sign identifying the Monongahela Valley Hospital HealthPlex was installed in front of the building. The Monongahela Valley Hospital HealthPlex is one of the area's most advanced, medically integrated health and fitness facilities in the region. It is one of the first medical malls which provides numerous clinical services, physician offices and health and fitness services under one roof. Services include the Center for Fitness and Health, MVH's Cardiac and Pulmonary Rehabilitation, Occupational Medicine, HealthPlex Imaging, Valley Outpatient Rehabilitation and Vale-U-Health as well as primary care, orthopedic, neurosurgery and women's health physician offices. 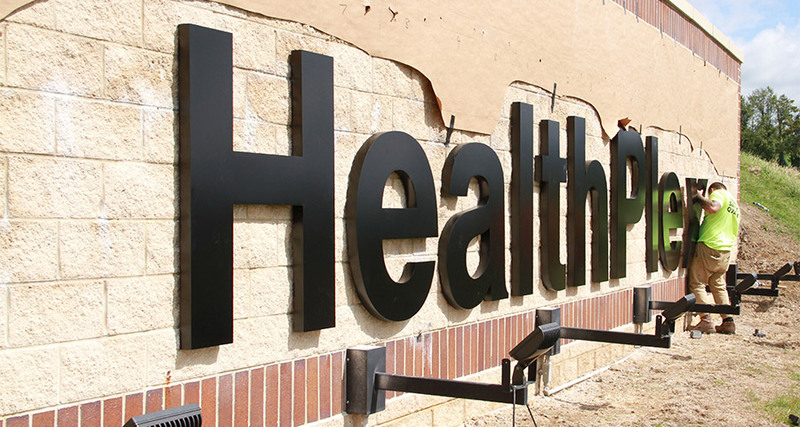 A workman installs the letters on the sign for the newly renamed Monongahela Valley Hospital HealthPlex. 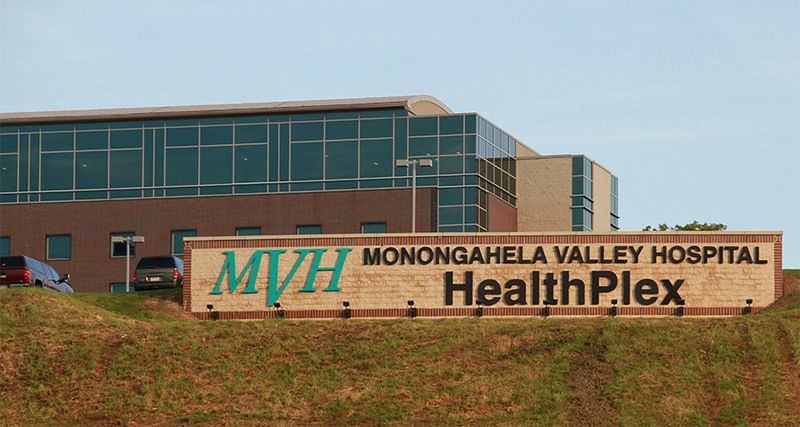 The Monongahela Valley Hospital HealthPlex sign is visible from Route 51 in Belle Vernon.